Planning a summer holiday which suits everyone’s preferences can be a challenging task. Whether you’re looking for a family holiday or a fun break with friends, it’s important that everyone has an enjoyable time. The best approach to finding a holiday which suits everyone is to first search for the type of holiday you would like. For example, are you looking for a relaxing holiday by the beach? An action-packed adventure holiday which leaves you breathless? Or an all-inclusive break in a luxury villa which avoids the chaos of busy vacation periods? If you’re unsure what type of holiday you’re looking for, do not worry. The Amazon Creek team have put together a guide to helping you plan the perfect summer holiday. Research has shown that families are taking a break often. On average, families in the UK are now having a holiday three times a year. This increasing amount of breaks means that there is more room for variety in holiday experiences. Take a look at our detailed guide below and do not hesitate to get in touch with the Amazon Creek team if you’re interested in any of the experiences available. Also, don’t forget that much of the hassle of planning a summer holiday can be taken off your hands by booking with Amazon Creek. From the moment you get in touch, we aim to make booking your holiday experience as carefree as possible. What type of summer vacation are you looking for? Beach holidays have long been a favourite for British tourists who are looking for a fun-filled holiday in the sun. Here at Amazon Creek, we look to combine luxurious environments and the highest-quality service with a relaxing and enjoyable summer holiday. We offer spacious summer villas in both Corsica and Sete, each of which provides their own unique experience. 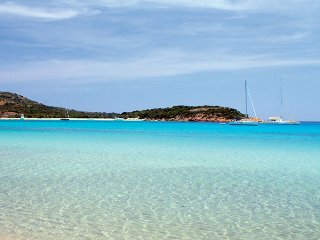 Corsica is home to some of the most stunning beaches in the whole of Europe. 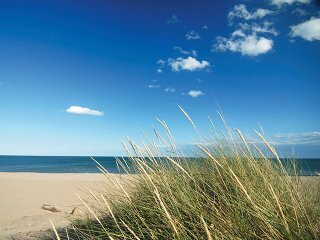 This presents the opportunity to either relax or have a coastal adventure, or even both! 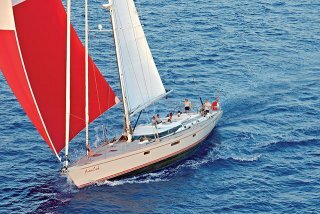 For the thrill-seekers in the family, there is the opportunity for adrenaline filled activities such as boat trips, helicopter rides and yacht charters. The Amazon Creek team will be available to organise any activity you wish to take part in, so all you have to do is decide what you’d like to do first. Sete, on the other hand, is a thriving town with a passion for fishing at its heart. Here you can combine a relaxing villa retreat with a sunny beach holiday; this really is the best of both worlds when it comes to summer vacations. Family villa holidays are the perfect balance between excitement and relaxation. Here at Amazon Creek, we offer a variety of family holiday villas which are equipped to keep the whole family entertained for the duration of your stay. We understand that family holidays are best enjoyed when you have freedom and space to spend quality time together. Our luxurious villas allow you and your family the room to relax and have fun, while also knowing that our team are available to assist with all of your needs on request. We know that one of the most important parts of any holiday is to feel special, that’s why our team will make every effort to accommodate your every need. You won’t even need to leave the villa to get everything you want; our team will do it for you! If you’re choosing Amazon Creek as your holiday provider, you have the choice of either Corsica or Sete for your luxurious villa break. For an action-packed holiday like no other, Chamonix is one of the best locations in Europe for fun and excitement. 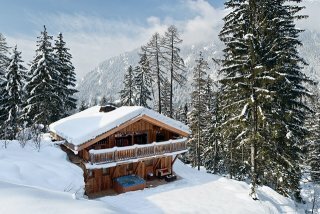 Our luxury chalets offer the perfect balance between adventure and luxury. Chamonix is a small town with a world famous reputation. Chamonix rests in the Haute-Savoire region of France. Surrounded by arguably the most magnificent mountain range anywhere, Chamonix is a hub for sporting activity. At the centre, Chamonix is a lively buzz of activity in summer, with climbers and adventurers flocking to the town from every continent. The streets are lined with adventure stores, local restaurants with fine French cuisine, bars filled with like-minded adventurers and cafes. Chamonix has something to offer for adventurers of all standards and abilities. Take to the skies by either paragliding or a magical helicopter tour. The main attraction to Chamonix in the summer months is for some of the best hiking and climbing routes. 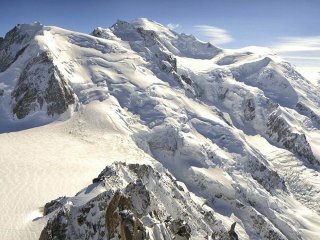 The mountain ranges in Chamonix boast over 350km of accessible hiking routes which act as the veins of Mont Blanc. Whether you’re looking for a peaceful walk through the beautiful countryside or challenging the mountain ascents which Chamonix is famous for, you will find an activity which is perfectly suited to you. Along the way, you will discover some of the most beautiful wooded areas and tranquil lakes you will have ever set your eyes upon. Chamonix is a location which allows children to discover the true beauty of nature in France, in a fun and exciting way. The mountain range which surrounds Chamonix is home to some of the most beautiful nature reserves available. Parc de Merlet is home to a wide variety of mountain wildlife, all of which can be viewed in their natural environment. If your children are interested in wildlife and animals, this really will be an area of wonder and discovery which will leave them in awe. Amazon Creeks villa in Corsica is in one of the most luxurious locations in the whole of Southern Europe, available for you to enjoy the most relaxing holiday along the breathtaking coastline. Corsica is home to a number of beautiful beachfront restaurants which give you the opportunity to spoil a loved one. If you’re looking to let your hair down, you have the choice of a number of lively bars fit for every taste. Whether you want to party at trendy clubs with live DJs or sit back in traditional southern French drinking spots with live music, the Amazon Creek team will help you to find a venue which is most suited. For something even cosier, why not consider a holiday in the cosy mountain town of Chamonix. 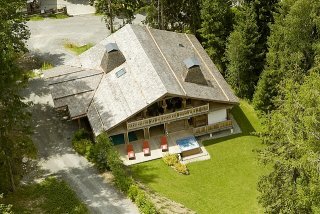 Chalet Baby Bear is a quaint chalet which is hugged by the surrounding forest and mountain streams. Baby Bear is perfectly suited to couples who wish to spend truly unforgettable alone time together. Home to an outdoor hot tub, sauna, cinema room and Wi-Fi. 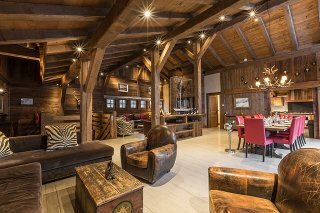 To ensure you have a truly memorable experience, you will have a personal chalet manager who will be readily available to deal with any request you may have. To ensure your romantic holiday gets off to the best possible start, you will find a complimentary bottle of champagne and fresh flowers waiting for you on arrival. This is in addition to other welcome pack treats. Recent studies have shown that families are moving away from traditional beach holidays and instead, opting for a cultural experience which serves as both an enjoyable and educational experience for the whole family. The Amazon Creek properties are located in locations which each present a unique opportunity to explore truly wonderful areas. Coastal areas such as Sete provide tourists with a great insight into traditional French seaside towns. By visiting Sete, you will experience a true sense of French lifestyle, with the added luxury of staying in a modern villa with a dedicated team of professionals who are available to make your holiday as enjoyable as possible. You could also head to the Mountain region of Chamonix, which will give you an equally enjoyable insight into French culture. Chamonix was first discovered by a pair of Englishmen in 1741 when they met a rural population of mountain farmers who lived off their local livestock. Since then, Chamonix has grown to become one of the most popular mountain resorts in the world, but the sense of community spirit has not changed. 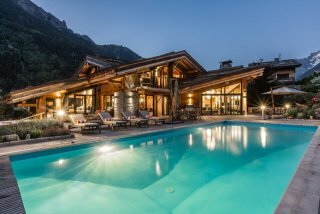 To get a real insight into what life is like in a French mountain environment, visit Chamonix this summer and let the Amazon Creek team organise the perfect vacation which is tailored to your exact needs. If you’re looking for a luxury holiday then you can rely on the Amazon Creek team to provide you with a holiday you will remember for a lifetime. No matter what type of holiday you’re looking for, you can guarantee they will be able to provide the accommodation and service you need. 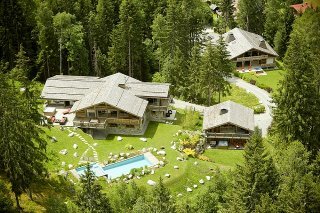 Their luxurious chalets and villas are modern and fully equipped to make sure you never have to leave! The Amazon Creek team will ensure that your every need is met with unrivaled service. Have you picked your perfect type of holiday? We hope that this guide has provided you with some ideas on what type of holiday you would like this summer. If you have settled on a holiday theme, it’s time to pick a location. For each holiday type, we have provided you with a town which would be a perfect location for your holiday. For some more information on each location, we have provided a short town brief below to give you a better idea of what to expect. 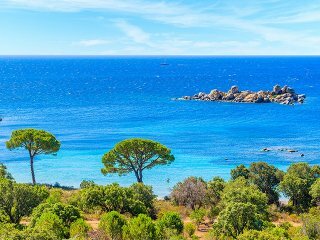 The island of Corsica is a Mediterranean paradise in the south of France. Typically, July is the hottest month of the year, with averages of around 22’ Celsius. The area is usually busiest during July and August as the island is a popular destination for families. Sete is an authentic French seaside town with a rich history like no other. The town is home to a thriving fishing port and a constant buzz of activity. The seafood from local fishermen is some of the highest quality available in the whole of France. Sete is also home to over 12km of white, sandy beaches, meaning you have space to relax and enjoy time with your family. July is usually the hottest month of the year, with temperatures averaging at 24°C. Although tourists mainly visit Sete in the summer months, the town is always full of activity due to the port. Even if you visit in the ‘quiet season’, there will always be something to see! 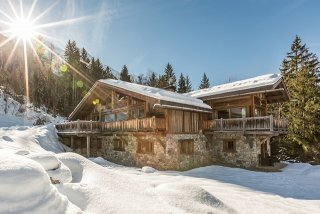 The mountain retreat of Chamonix is a popular attraction in both summer and winter months. August is often the hottest month of the year in Chamonix, with temperatures hitting up to 22°C! You will be able to make the most of daylight hours in summer, with the average being around 15 hours each day.